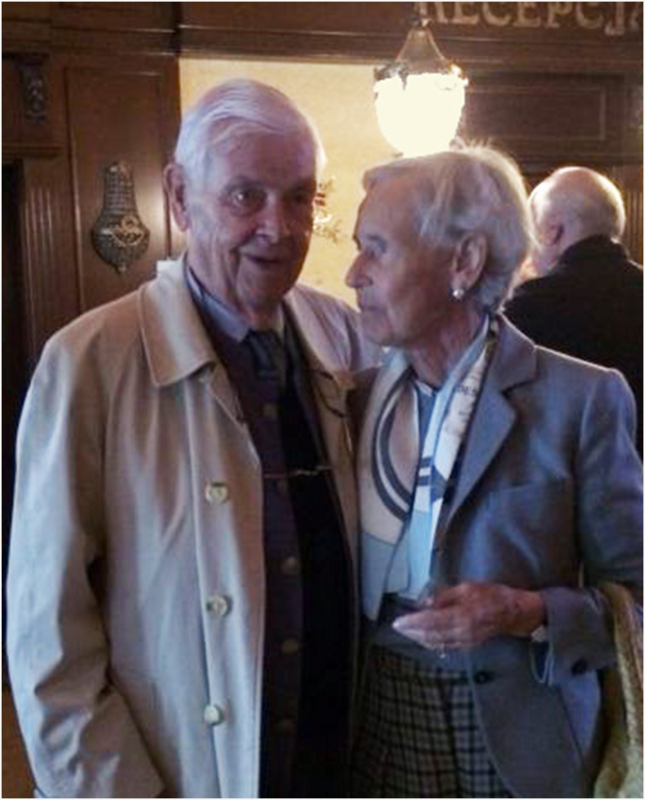 Born in Breslau in 1923, Hans spoke French, German, and English flawlessly, and many other languages as well. He studied biology, languages, law and economics at the Universities of Breslau, Fribourg (Switzerland), Geneva and Cologne. World War II interrupted his studies and after the war, Hans was imprisoned in a labor camp in Siberia; one of the many remarkable things about this remarkable man was that he retained a deep appreciation for the beauty of the Russian countryside despite the conditions in which he got to know it. Many years later, on a visit to Russia, he spoke with grace and courage about his earlier time there. His experiences during and after the war gave him a lifelong commitment to peace, as well as a truly global and international view of the world. He made a career as a European civil servant, initially in Luxembourg and Brussels, and in 1964 he became Secretary-General of the German National Committee of the International Chamber of Commerce in Cologne. In 1982, as an ICC colleague put it “the charming and highly competent secretary General of the German national committee, Hans Koenig” became Secretary General of the International Chamber of Commerce in Paris. He served in that capacity until 1989, and during his tenure made important contributions to the global rAbbau von Handelshemmnissen, der Entwicklung von Standardklauseln füreduction of trade barriers, and the development of standard clauses for internationale Geschäfte und der kommerziellen Streitbeilegung. international trade and commercial dispute resolution. In the early 1960s, while living in Cologne, Hans began collecting carpets from China and Chinese Turkestan, and by the end of the decade was publishing scholarship in the field. He was the principal organiser of the Second International Conference on Oriental Carpets in Munich in 1978. During most of his professional career, Hans pursued a simultaneous path as a textile collector and scholar. In 1990 he received the Joseph V. McMullan Award for Stewardship and Scholarship in Islamic Rugs and Textiles, and he organized important exhibitions of carpets and textiles into his last decade. After Hans retired from the ICC in 1989, he was able to devote more time to the art world. He was the first president and longtime honorary president of the The European Fine Art Foundation und führte die StiftungThe European Fine Art Foundation (TEFAF), founded in 1988; while there his personal intervention and charm made possible a groundbreaking loan exhibition of art from Russia in 1994: ‘Treasures from The Hermitage St Petersburg’. In 2009 he became chairman of the newly formed Sarre Club, advisory committee for the Museum of Islamic Art, Berlin. Hans was a supporter and frequent contributor to Hali Magazine, and served on innumerable boards and committees in the textile, carpet and art fields, worldwide. Hans is survived by his wife Marion, two children and six grandchildren, to all of whom the Hajji Baba Club extends its deepest sympathy.